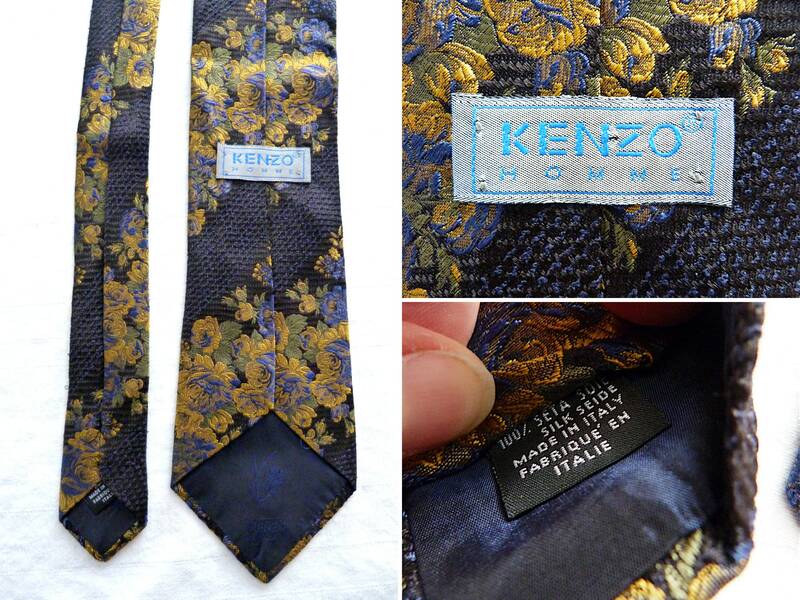 High fashion tie from Japanese origins French designer Kenzo. 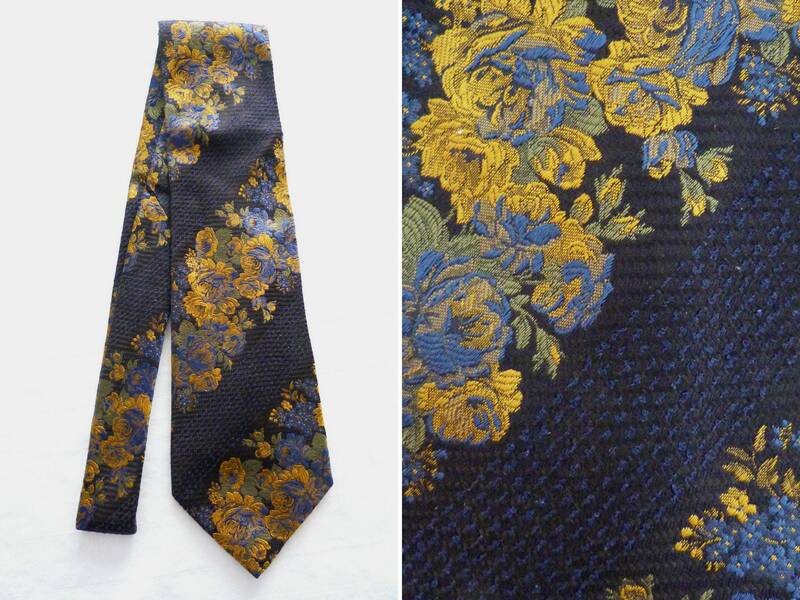 A stylish brocade silk fabric with floral patterns in tones of blue and golden yellow on a black background. Quite long and wide. 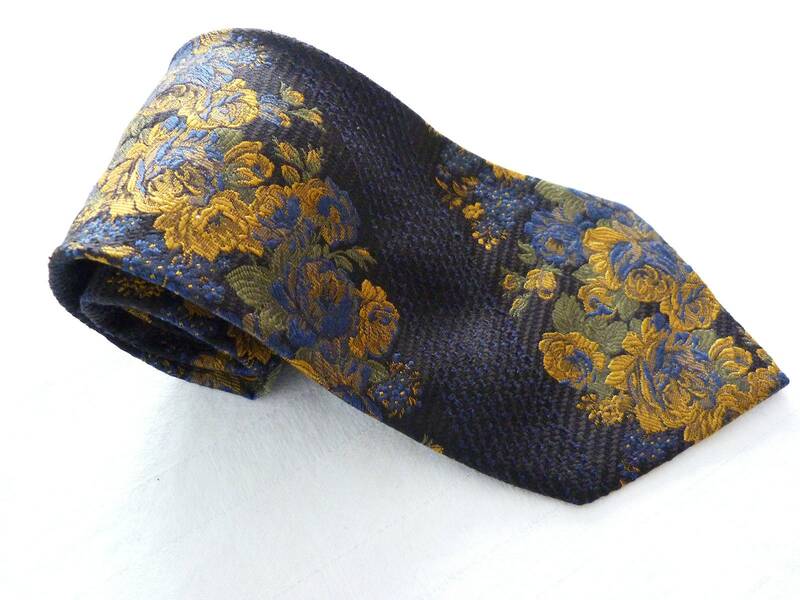 The style is typical of the designer with its vibrant patterns and colors. Both sophisticate and exhuberant. Always stylish and delicate. My favorite designer!